Welcome to this chapter that will give information on German optical equipment. In all sorts of warfare observation and target aiming is very important: find and pinpoint the enemy as soon as possible. 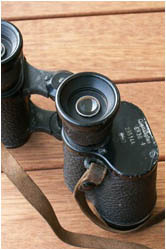 In fortification structures (Atlantikwall and others) a variety of fixed binoculars, periscopes and range finders was used. Protecting the weaponry by placing it in armoured cupolas or behind steel plates, also meant a lack of information in what was going on outside. 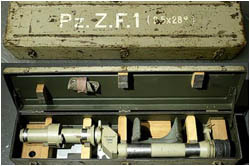 On this site we will try to give you a glimpse at the inventory of optics that were especially made for fortification use. This means most of the optics dealth with are very specialised, in most cases easily identifiable examples of mid-twentieth century craftsmanship. Most of these are monoculars. "Bunker"-binoculars exist as well. It must be noted that the largest German fortification effort, the Atlantikwall, began taking shape in 1942. Materials and other resources got even more scarce day by day. At the same time the Kriegsmarine surface fleet expansion plan (the Z-plan) was scrapped. Higly specialised KM-optics already built for the surface fleet to be, became available. These were transferred to land-based coastal defense Kriegsmarine units only to end up (after minor adjustments) under a concrete roof overlooking the European beaches. This is only one way in which our nowadays "common" Kriegsmarine binoculars found their way into fortification use. No other arm of the German armed forces had such an elaborated cooperation with the German optical industry as the Kriegsmarine. To spot before being spot by the enemy was crucial in navy warfare, especially in times when radar wasn't available yet. The partnership brought the Marineküstenartillerie (German naval coastal units) in the position to have special binoculars created for their own needs. This in spite of the scarce resources and the fact that models for non-Kriegsmarine for the same purposes were available. An excellent example is the "KM" 10x80 80°, a specific Kriegsmarine-made binocular which wasn't designed for classic "naval" use and never saw service on a ship. 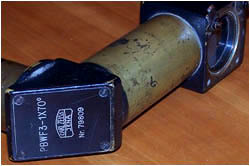 German equipment was often marked with several sorts of manufacturing (ordnance) codes. There are a few books and internetsites on this subject. We made a first start with the available information. The list will grow in time and your questions are welcome. 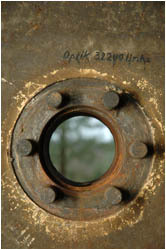 The technical markings found on the optics are also part of this section. Furthermore we will try to explain how some simple lines in the glasses can tell the distance to the target. Here we bring some information and pictures of restoration projects. Besides a magnified eyeview you also need geografical information for orientation and targetfinding. Compasses give you the magnetic north pole, so that you can determine a direction. 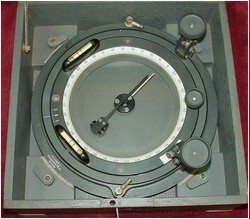 There are also optical instruments that combine magnification with a compass.